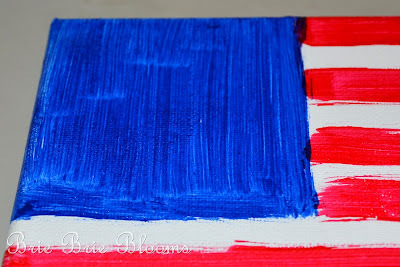 As a crafty momma, it’s easy to forget that sometimes the easiest crafts are usually the most fun for little kids. With just a blank canvas, paint, and brush you can keep little ones busy for hours creating fun art. 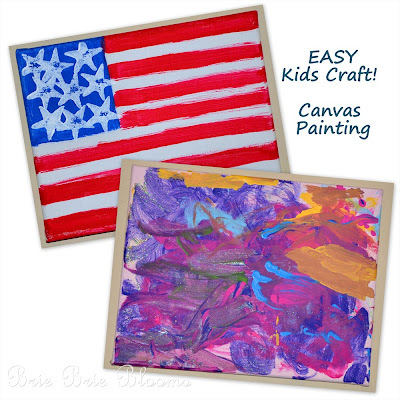 With smaller children you can use one canvas to paint many layers with different colors over several different crafting sessions. I have a painting hanging in my office that my daughter made at only two years old. 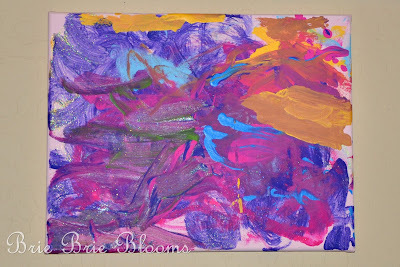 We worked on this one canvas for about a month, with a few days between each time she painted to allow the canvas to dry. 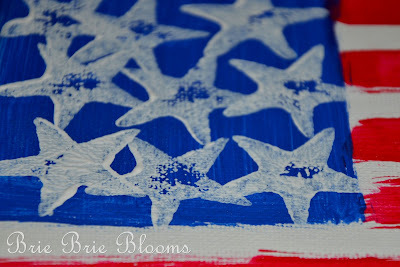 You can see there are many layers of paint and glitter. 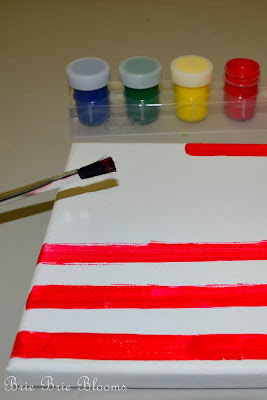 Little kids work much better on this type of project when they don’t have too many paint choices each time they work on a layer. 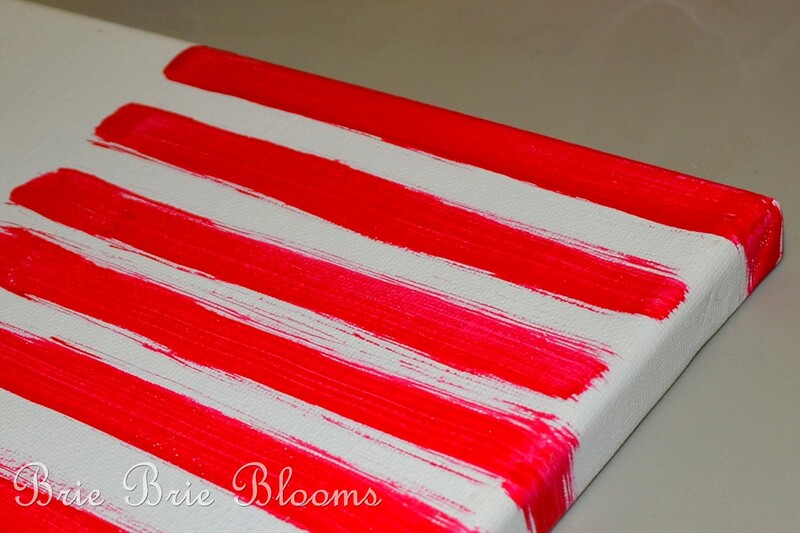 Don’t use more than one exciting paint (glitter paint, textured paint, or favorite colors) each time they work on the canvas. By doing this you will guarantee excitement each time they discover you have something new for them to use. 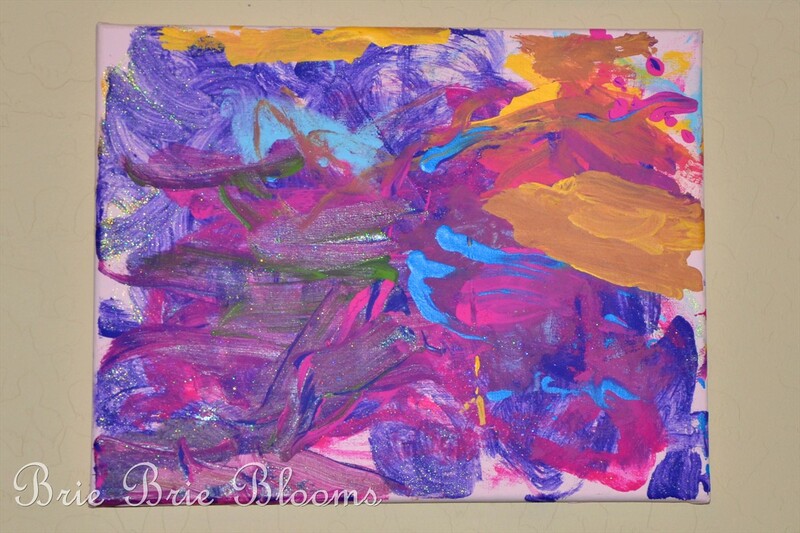 My favorite type of paint when working with small children is poster paint. You can find it at most craft stores. I like it because it’s washable and inexpensive. For older kids you can use canvas to paint specific designs like our flag painting. To make the flag start by painting seven red stripes. Leave a blank square in the upper left corner. 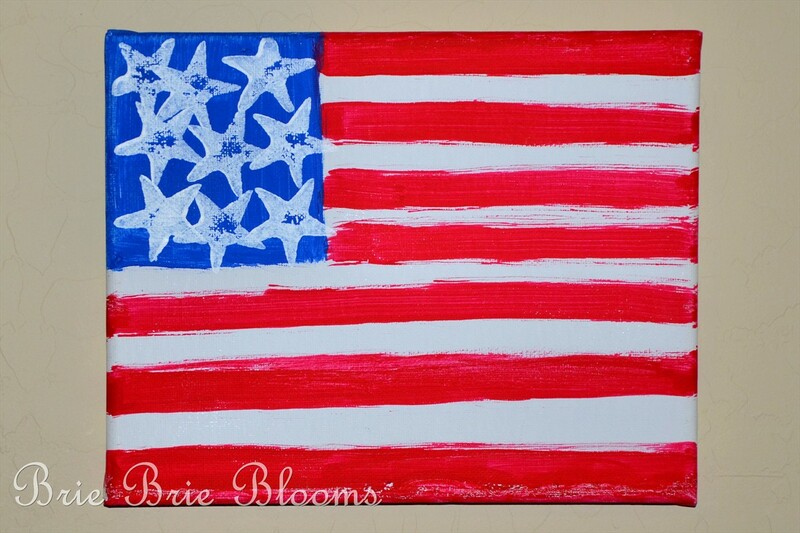 Then paint or stamp on white stars. We used potato stamps to add the stars. You can find some great tutorials on potato stamping at A Couple of Craft Addicts. Jessica and I both shared the fun we had making potato stamps there. You can see our tutorials here and here. For a great video tutorial, this morning I hosted the SheKnows TV Daily Dish show and showed how you can quickly make stamps using potatoes and cookie cutters. If you would like to see how I made the tote bag in the video, you can see the full project details here. Your blog looks great! I just stopped over from the blog hop and am a new follower. 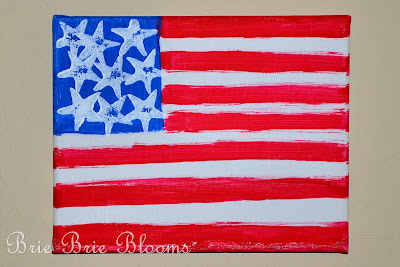 I would love it if you stopped by my blog as well.